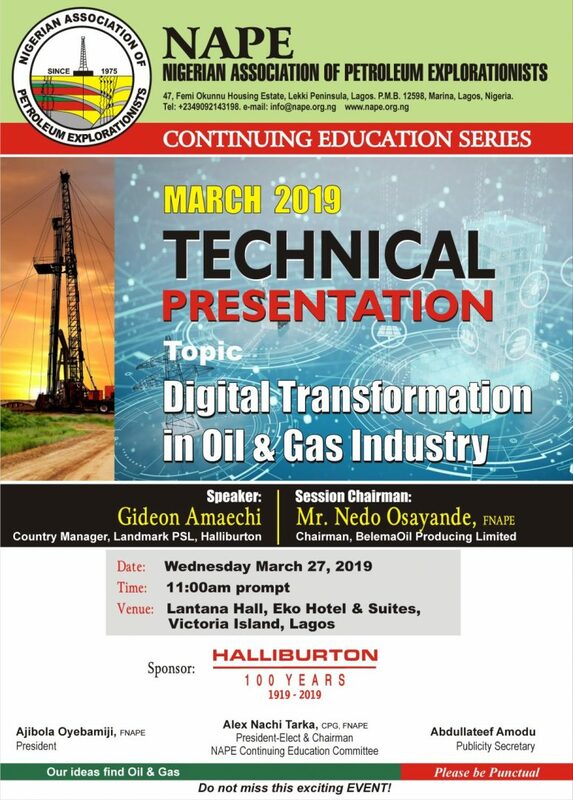 The Lagos March 2019 Technical/Business Meeting was held on Wednesday March 27, 2019 at the Lantana Hall of Eko Hotel & Suites, Victoria Island Lagos. The Speaker of the well attended meeting was Gideon Amaechi, the Country Manager, Landmark PSL, Halliburton. For the meeting presentation, Click Here. For the meeting Pictures, Click Here. The meeting was sponsored by Halliburton.